With over 20 years of industry experience, the team at Phoenix Electricians Today is proud to serve the electrical repair and installation needs of our friends and neighbors. Our veteran owned business is dedicated to helping homeowners with their electrical repairs any time, offering 24/7 emergency electrical repair services throughout the greater Phoenix area. You can trust our licensed electricians in your home, as all our employees must pass drug screening and background checks. When is the last time you checked your home’s electrical system. Whether you’re looking to sell your property, or just want to make sure your current home is up to standard, our team of electricians will provide a detailed written report on the present condition of your home’s electrical system, and recommend prioritized repairs if needed. As the industry grows and develops, so does your opportunity to reduce your energy bills and carbon footprint. You can go green by converting to energy saving LED lighting technology. These lights are more efficient, throw less heat, and can be installed anywhere in your home. If you are looking to purchase an electric car like a Tesla or Nissan Leaf, we can install a safe, reliable car charging station. Older homes weren’t designed with modern electrical consumption levels in mind. With a variety of devices and appliances that require power on a constant basis, it is important to make sure your home’s electrical wiring, panel, and service is adequate. Outdated equipment can overheat, posing a serious threat to your family’s and home’s safety. With over two decades on the job, our locally owned and operated electrical service organization has helped countless families throughout the greater Phoenix area. We understand the unique needs of our community’s electrical systems. To ensure your breakers don’t overheat during the peak highs of the Arizona summer, to make sure your home’s electrical system is safe from surges during the monsoons, or to install wiring for pools and spas, we can do it all. 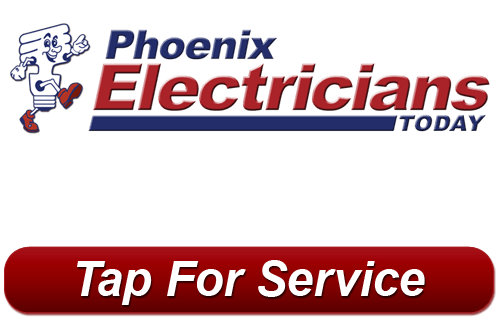 If you are looking for a Phoenix electrician then please call 623-209-5244 or complete our online request form.